A kitchen is such an intimate place to be perfect in every aspect. 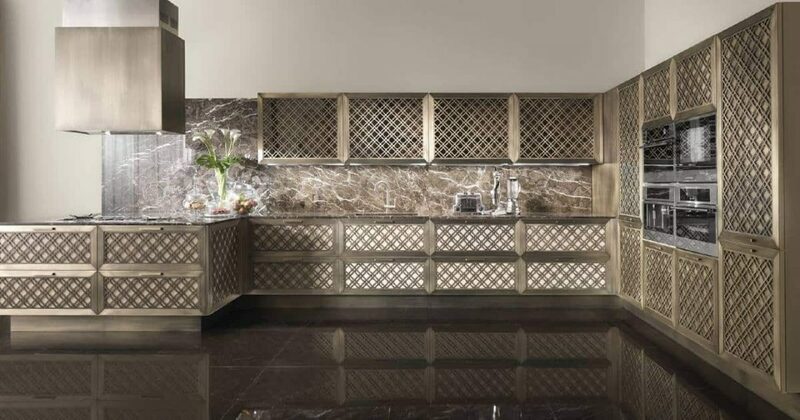 We know that it is the beating heart and the soul of every home and the reason why we create our kitchens with a particular devotion, blending tradition and technology, balancing comfort and luxury. With a great synergy between craftsmanship and high-tech, our Quattrocento Kitchen – designed by Andrey Vega – perfectly reflects this approach. Our Ulysse LA758 armchair and a pair of Ulysse coffee tables were selected by Bruno Tarsia Studio for a beautiful set-up for the new Studioart Aero Collection catalog. Special thanks to Bruno Tarsia Studio and Studioart Leather Interiors! A variety of pieces of furniture, a chair of special positions: a blend of rationality and creativity. Sophisticated allure, graceful silhouette and clean lines of the penelope collection. Our Penelope chairs perfectly embody the synergy between innovation and heritage with timeless style while reflecting our commitment to quality, design and craftsmanship. 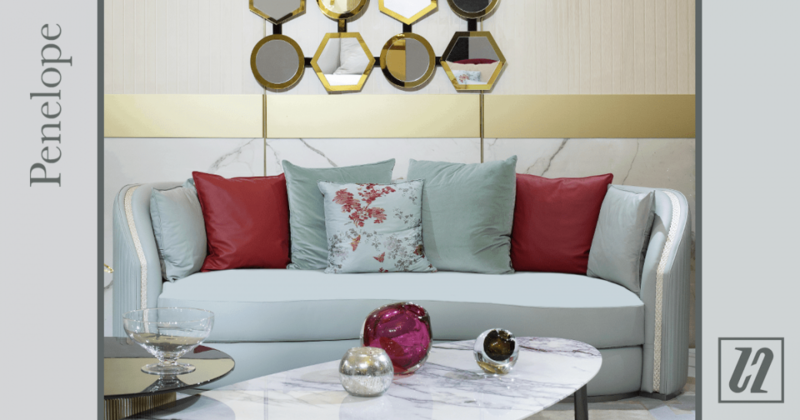 For long-term experience in luxury furniture production and real passion for fine details make Elledue the perfect partner for those customers looking for unique interior design solutions. Saraya, designed by Lebanese architect Walid Fleihan, is no doubt our most eclectic collection. Refined metal decorations recalling the rich royal dwellings, making each of the saraya settings incredibly rich and modern at the same time. The collection fits perfectly with this high-end project, including a sumptuous lounge and a dining area. The velvet upholstered pieces in the lounge area are enriched by metal decorations and the same motifs are echoed by their embroidered decorative cushions. 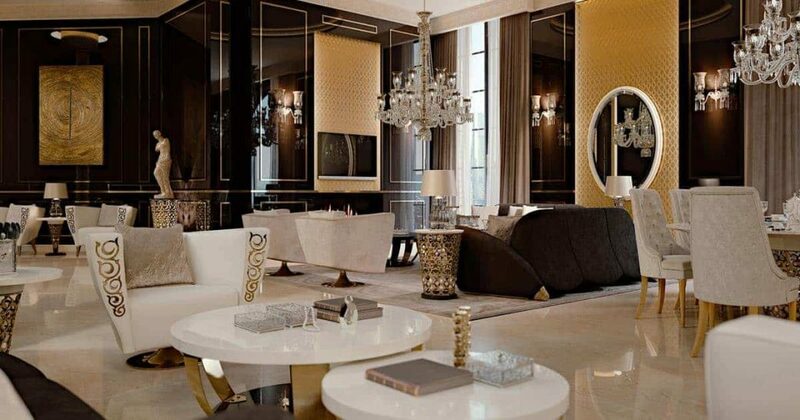 Round coffee tables, with golden finished metal legs and conic Saraya Frieze side tables, made in gold finished molten brass with white lacquered top, complete the room. 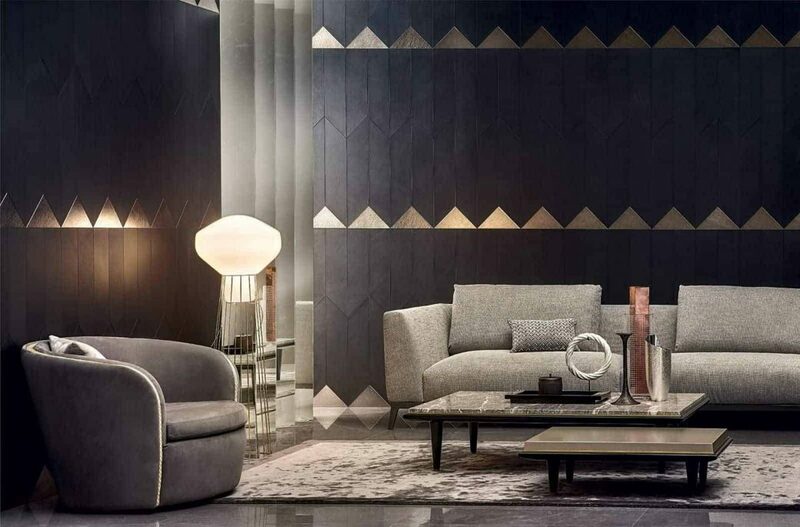 Penelope sofa – first introduced at the latest Salone del Mobile.Milano Shanghai – recalls the glamourous Deco style. The vertical matelassé motif characterizing its back and our signature metal Braid trimming, decorating the upper edge of the backrest and armrests, convey elegance and sophistication. This contemporary piece of design works best when upholstered in velvet or leather, in both dark or pastel shades.